You guys have helped me twice with Phantasm and Magic Island, it’s time I give back and tell the stories about what scared me as a kid. 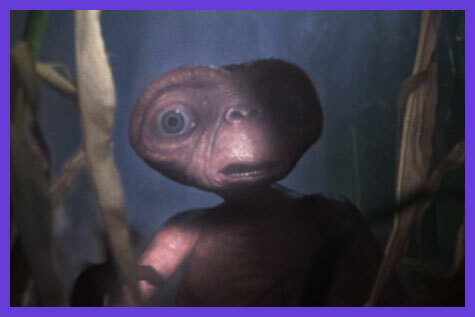 When I was younger than ten, my family decided they were going to put on E.T. Everything was going fine at first. I was sitting in the living room, eyes fixed on the television when I felt uneasy. At the beginning where the UFO is discovered and E.T. makes a break for it, is where I was scared out of my wits. There was something about when he was rushing through the bushes, with the creepy UFO lighting in the background and the distressed noises from the alien. I ran out of the room crying and screaming I was so afraid. It took me years to finally watch E.T. without being frightened, and my family still makes fun of me for it. Another tidbit from my early youth will probably make you laugh. 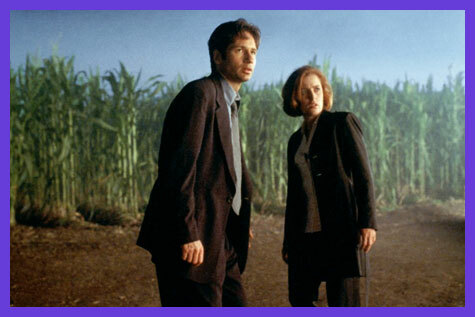 I admit as a child I was terrified of the intro music to X-Files. As soon as the first note hit, I was in my room covering my ears. I’d stay in there until the intro was over, then go back into the living room to watch the show. It was just the music that scared me so much. The music! How lame is that?? These days, I love theremin music. I’d tell you the story of my first time watching Pet Sematary, but it involves a family that wanted to scare me, a haunted house, and nearly hiding under the couch. Perhaps another time. Now I am imagining an E.T. 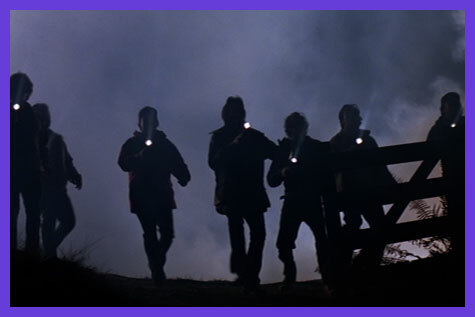 / X Files crossover/prequel that reveals that a young Fox Mulder was one of those guys with a flashlight chasing E.T! My daughter (who is 14 now) was afraid of the X FILES music. I had one of those PURE MOOD Cds that had that music on there and she HATED it. The onky time I got away with playing it was Halloween. …Sorry, I felt I should back you up on that. Also, I was scared by E.T. too. I was with my friends in the theater, and when you first see E.T. freaking out in the back yard, I didn’t think I was going to get through the movie, I was so scared. I didn’t even know what kind of movie it was because it had just come out THAT DAY. I thought it was going to be a horror movie. The only reason I didn’t leave was because I didn’t want my friends to think I was a wuss.